I haven't posted in a while... That's because I haven't been doing much quilting lately. But I have been doing some of other arts and crafts over the past summer months. I did some painting, which I haven't done for ages. I definitely need to practice more, so please don't laugh too loudly at my attempts. 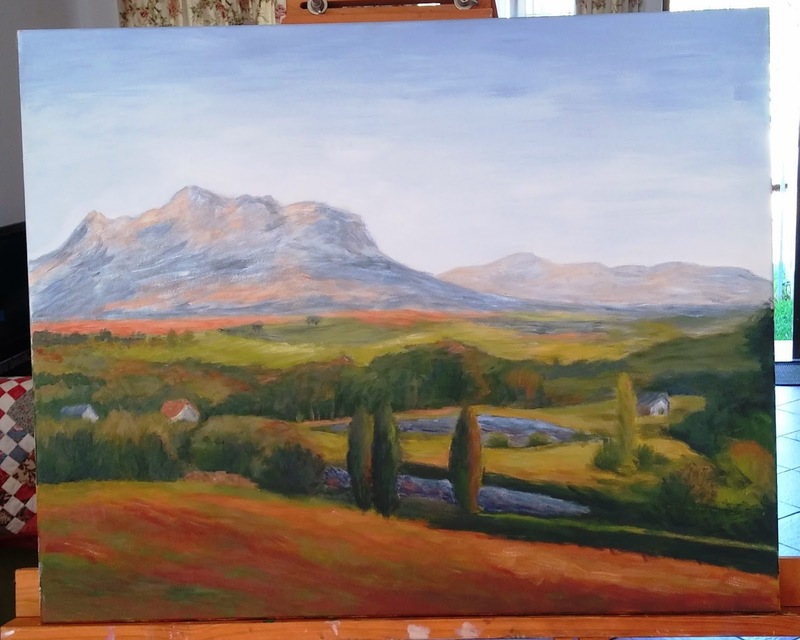 I took photos of the surrounding vineyards for inspiration and managed to finish two landscapes, using different styles and a small vase still life (Please excuse my poor mobile phone photography). 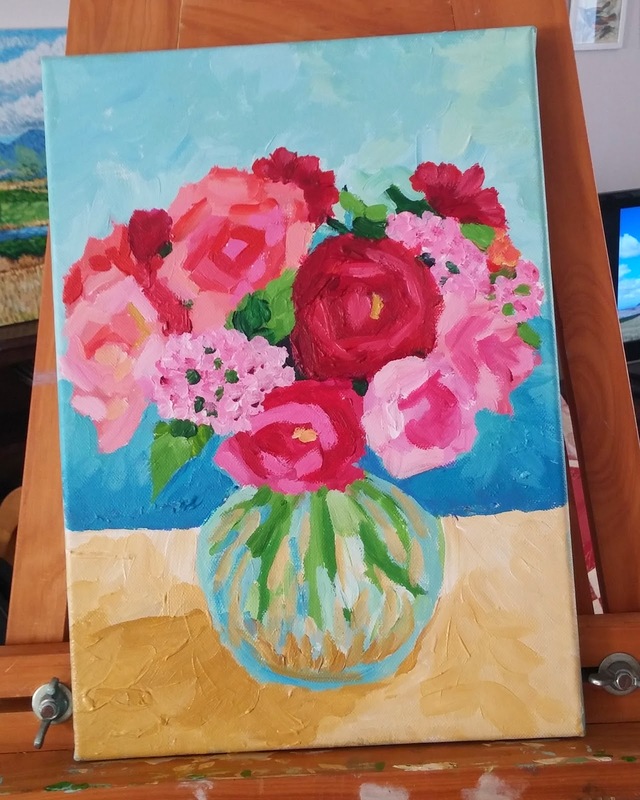 I want to paint more loosely, so I will keep on trying. 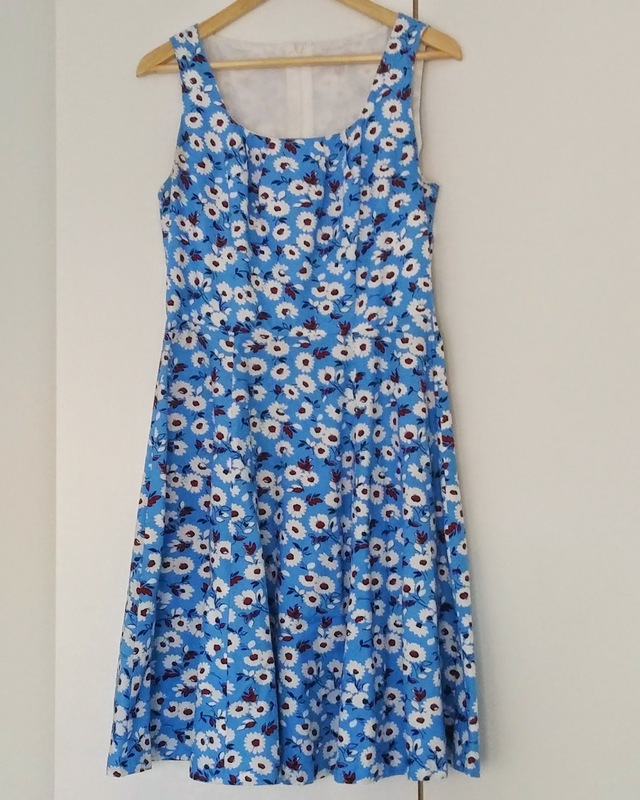 I also did quite a bit of dress-making, using quilting cotton fabrics that I bought on sale. I made 4 dresses during the recent holiday. Cotton dresses are perfect for the hot South African summers, I never wear anything with polyester, its just too hot and doesn't breath. Next I made a flared skirt dress with a square pleated neck using pretty blue Moda American Jane fabric and pattern New Look 6184 (view C). I wear it with a red belt which compliments it nicely. 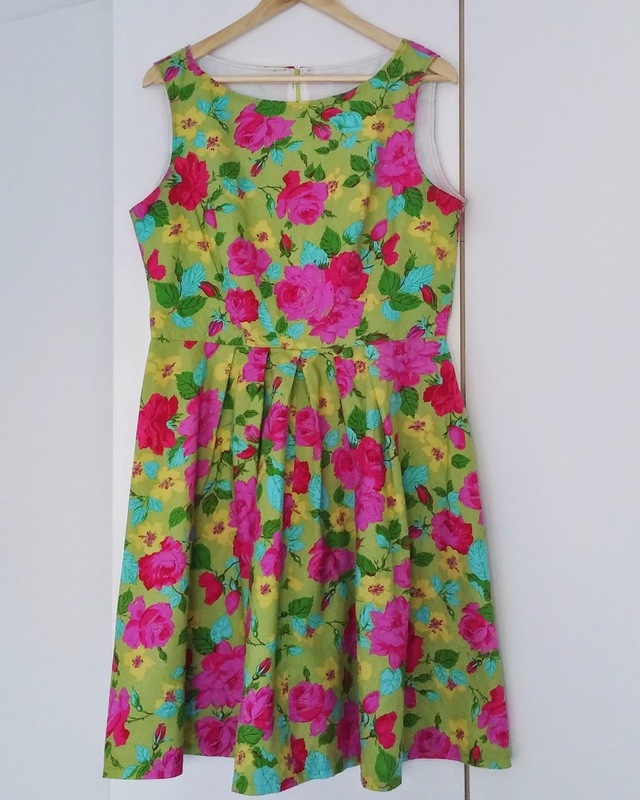 Then I made lovely 50's styled dress using pretty lime green Jennifer Paganelli Happy Land Rose fabric using pattern Simplicity 2444 (the sleeveless, collarless version). 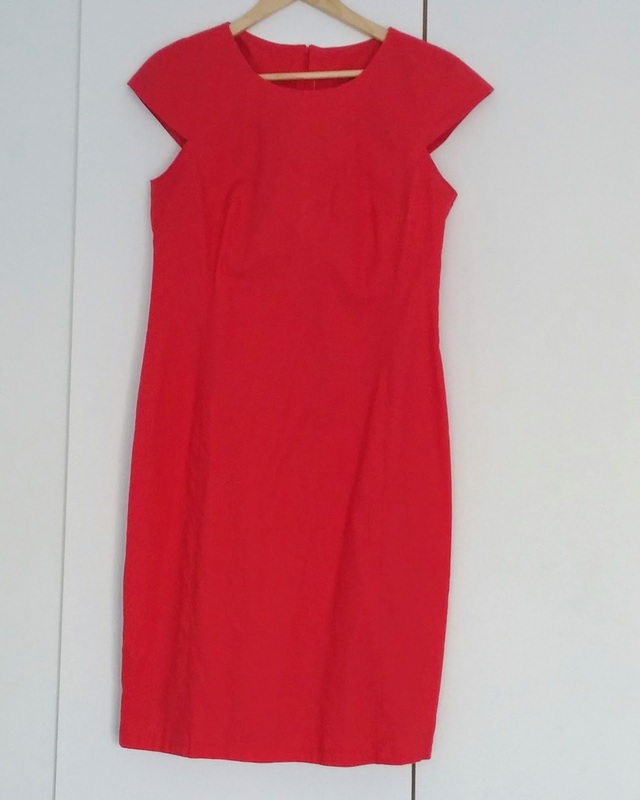 This one is my favourite, it fits so nicely and is very flattering. 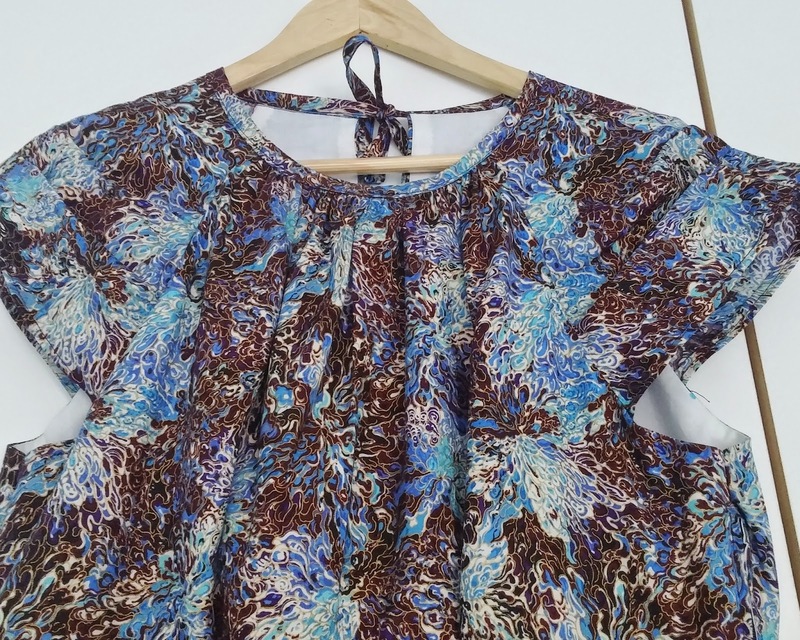 Lastly I made a more challenging Cynthia Rowley dress using an abstract blue and violet Hoffman fabric print and pattern Simplicity 2281 (View A). It is a bit short for me since I'm a tall lady. But it looks modern. Now I'm back at work, marking dissertations, writing research reports and preparing for lectures (sigh). 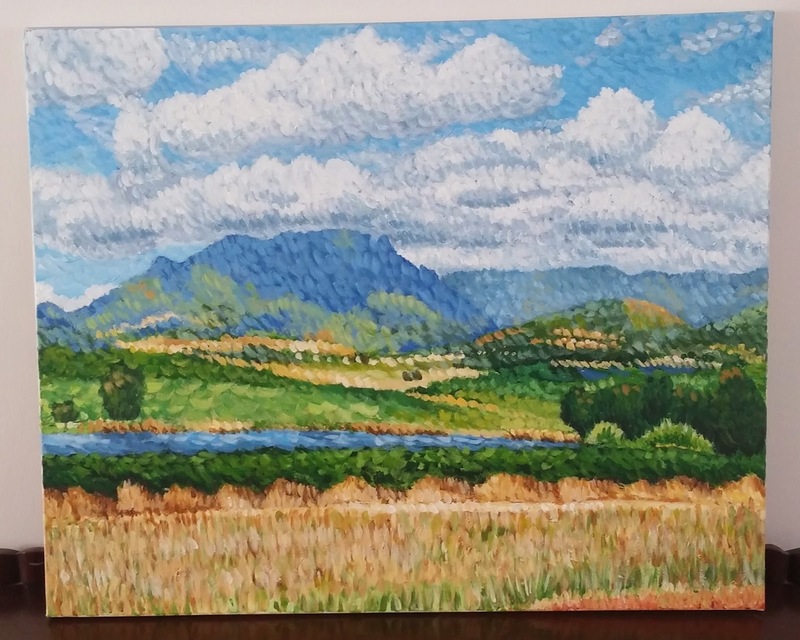 It was so nice to wake up each morning during the holiday and to paint or sew the whole day. I do love my day job but I love being creative too. Your paintings are stunning, I especially LOVE the first one! My goodness, you've been busy! Your paintings are beautiful! I'm certain those stylish dresses look stunning on you. 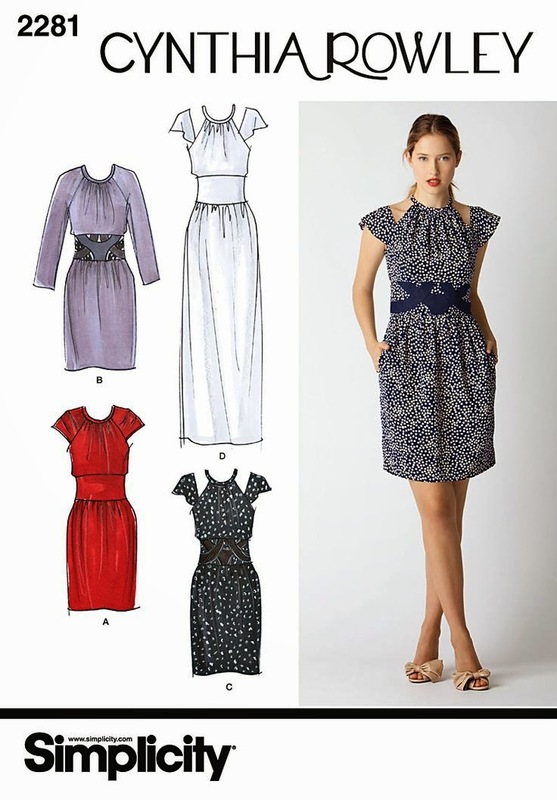 You've inspired me to try a little dress making sometime. I haven't attempted garment sewing for many years. And here you are! Lovely to "see" you again. I'm no art expert or anything but I think your paintings are pretty darn good. I especially love the last one which reminds me a bit of a Van Gogh (similar technique?). Love all your dresses; you are a very talented lady. Hope your job doesn't get too stressful too early. 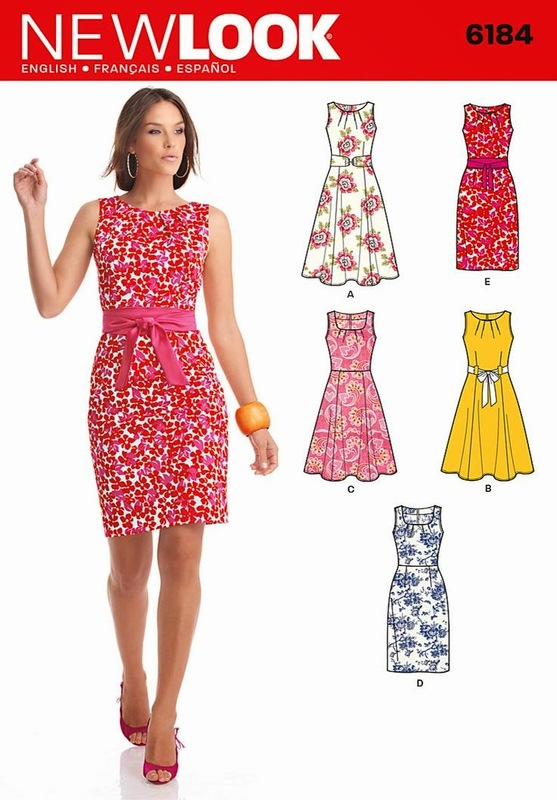 lovely dresses, i wish i could wear dresses like these - they are so-o-o lovely!! !